Telangana Employees can calculate their PRC fixation amount throught this calculator. Last PRC is fixed in the year of 2015 which has to be implemented in 2013. 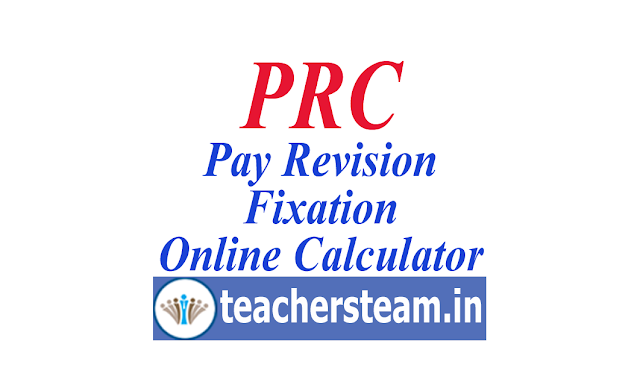 43% of pay fixation given in 2015 PRC. Government will have to announce PRC for each years. Now the PRC fixation percetage have to be announced by the Government of Telangana to its employees. Employees are eagerly waiting and expecting 63% of Pay Fixation from the Government of Telangana.